The Slovakian broadcaster RTV has made an internal selection this year. 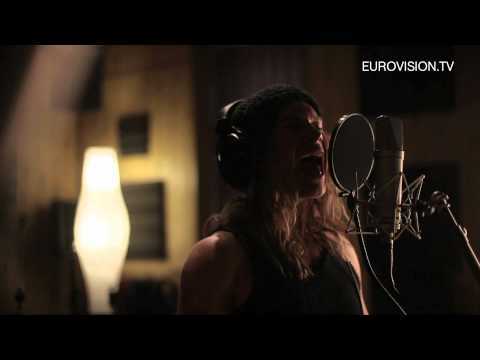 There will be a real hard rock song form Slovakia this year called “Don’t close your eyes” by Max Jason. This will also be the one and only hard rock song in Baku. The ESC history shows that there were quite a few hard rock or rock songs. As the ESC is open to all kinds of music styles, this variety makes the contest very special for all music lovers, and it’s indeed very special. In the year 2006, a hard rock band called Lordi could even win the Eurovision Song Contest with “Hard Rock Hallelujah”. Even if the music is a bit louder and electrical guitars are flying around, you can always notice a melody in it. The song “Don’t close your eyes” even emphasises that, be open and don’t look away. With a good stage show this might do very well in Baku. For Slovakia it is the 7th time in the Eurovision Song Contest already! The debut song “Nekovecná Piesen” by Martin Durinda and Tublatanka in 1994 has made a 19th place in Dublin. Unlike the neighbour country Czech Republic which took part three times only, Slovakia is still eager to compete and has not lost its enthusiasm, even if Slovakia never made it into the grand final since 2004. The last Slovakian entry was also the most outstanding song so far: “Modlitba” by Katarína Hasprová in 1998 (21st). Due to the fact that the Czech Republic has withdrawn this year there won’t be any neighbourhood points. Another fact is that Slovakia is often mixed up with Slovenia. In the 2003 contest in Riga the official scoreboard wrongly stated “Slovakia”, but it was meant Slovenia, as Slovakia did not even take part. The best place Slovakia could achieve was the 16th with “Kým Nás Más” by Marcel Palonder in 1996. In 2010 many people believed that Slovakia was close to victory with “Horehronie” by Kristina, but it did not even qualify for the final, came 13th in the semi final. Slovakia also paused quite a while from 1999 – 2008.